Los Angeles is putting a new spin on an old technology, returning to one of the oldest forms of irrigation: the water wheel. Aqueducts have played a significant role in Los Angeles’ history, such as a waterwheel placed on the Zanja Madre—the Mother Ditch—in the 1860s that brought water from Rio Porciuncula to the Los Angeles River. 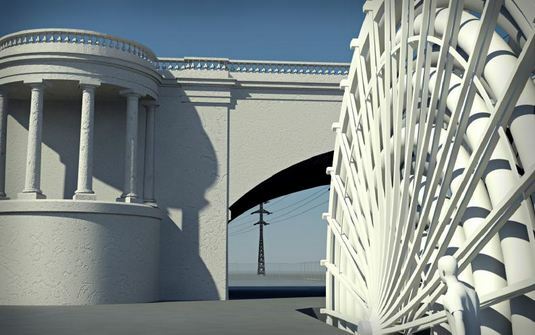 As a dedication for the 100th anniversary of the Los Angeles Aqueduct, a new waterwheel designed by Metabolic Studio‘s Lauren Bon, will be installed near the same site by November 5th, 2013. Bon, an Annenberg heiress, artist, and philanthropist, gained notoriety for her Not a Cornfield installation that involved transforming 32 acres of brownfields into a fertile planting ground. 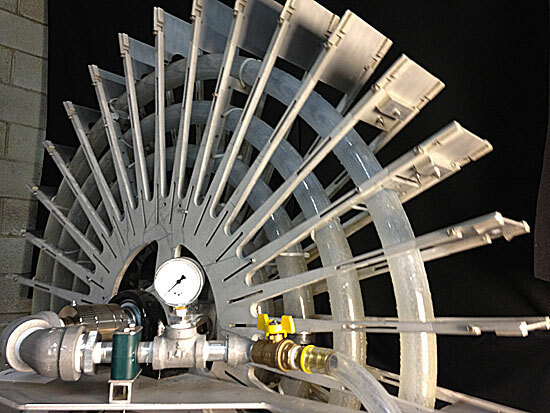 The new waterwheel, dubbed “La Noria,” is expected to move 28 million gallons of water per year to irrigate the state park, potentially saving over $100,000 a year. As La Noria flows with the LA River, the diverted water would be filtered, and transported through a pipe towards the 32-acre state park, leaving the rest of the river to continue on its way to the ocean. The project already has already been funded by, you guessed it, the Annenberg Foundation, but gaining permission for the the wheel is expected to be a more difficult venture. Approvals and permits must be issued by multiple agencies including the Metropolitan Transportation Authority, Department of Public Health, City Departments of Water and Power, Planning, Building and Safety, the Bureau of Engineering, and the U.S. Army Corp of Engineers. La Noria has already been given the green light by the Los Angeles River Cooperation Committee and Bon is confident she will be able to finish by the expected deadline in November.